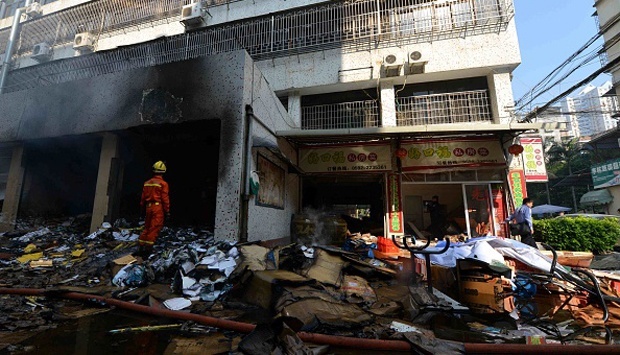 TEMPO.CO, Beijing - A fire early on Saturday morning at a hot springs hotel in the far northeastern Chinese city of Harbin killed 18 people, with 19 injured, authorities in the city said. The cause of the blaze was under investigation, the Harbin propaganda department of China's ruling Communist Party said on its Twitter-like Weibo account. Chinese state broadcaster CCTV said the fire in the four-story building began at 4:36 a.m. local time, burning an area of about 400 square meters before being extinguished after about three hours. Footage aired by the state broadcaster showed rescue workers inside the burned-out building. China has a patchy record for building safety regulations. Beijing's municipal government launched a 40-day "special operation" targeting fire code and building safety violations after an apartment fire in the Chinese capital in November killed 19 people.